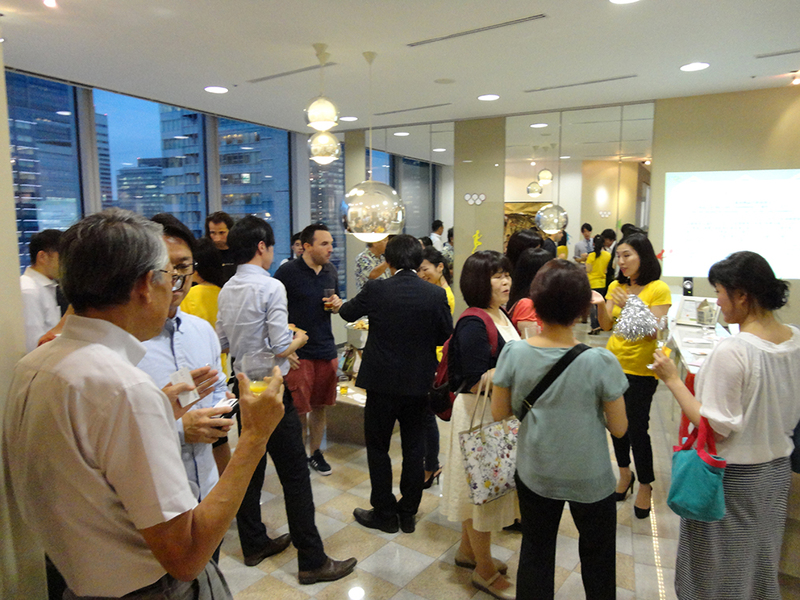 This summer the two Marunouchi Servcorp locations, Marunouchi Trust Tower and Marunouchi Yusen building, held an event together. The aim of the event was not only to provide networking opportunities for clients who don't have a chance to meet often but also to raise funds for Run for the Cure Foundation. Run for Cure Foundation is an organization that promotes eradication of breast cancer through education and treatment. Since the summer Olympics were held in Rio this year, the theme of the event was “RIO DE JANEIRO OLYMPIC”. For the occasion, all team members dressed up in “Brazil logo” yellow T-shirts and served Brazilian cuisine. 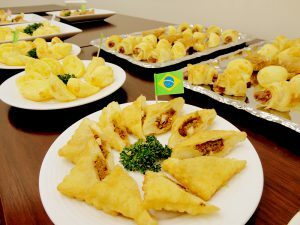 Professional Samba dancers made the event extravagant and festive. In combination with the exciting dance music, viewers were all amazed by their powerful performances. 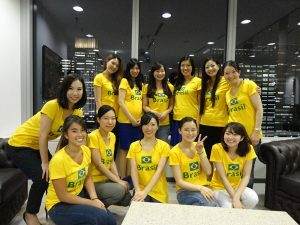 Some clients and team members also joined the Samba dancers in a simple routine! Everyone seemed to enjoy the dancing, and the mingling with music and movement created an icebreaking environment perfect for networking. At the end of the event, there was a lucky draw during which clients' business cards were randomly chosen and the winners were provided with fantastic prizes. 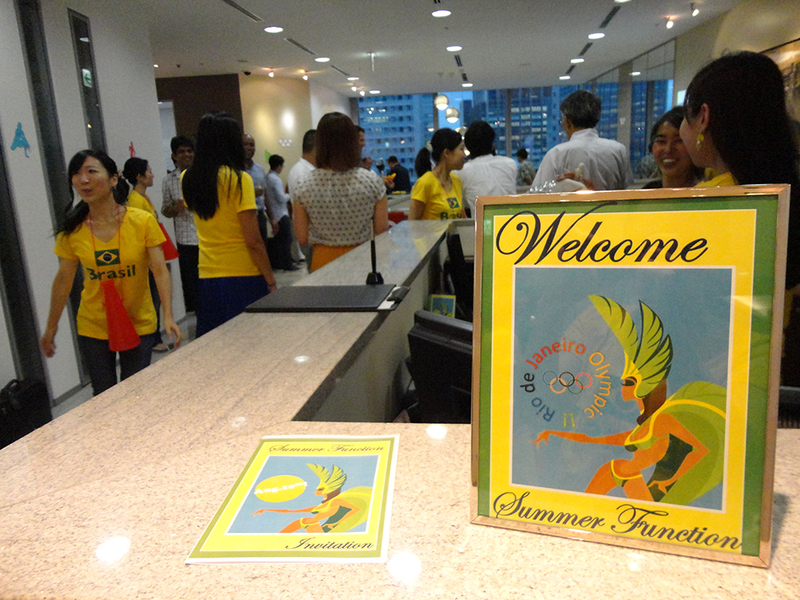 Clients were ecstatic to be chosen since the prizes were very attractive. Down below we have our first prize winner with a night at the Oakwood Premier Tokyo hotel!